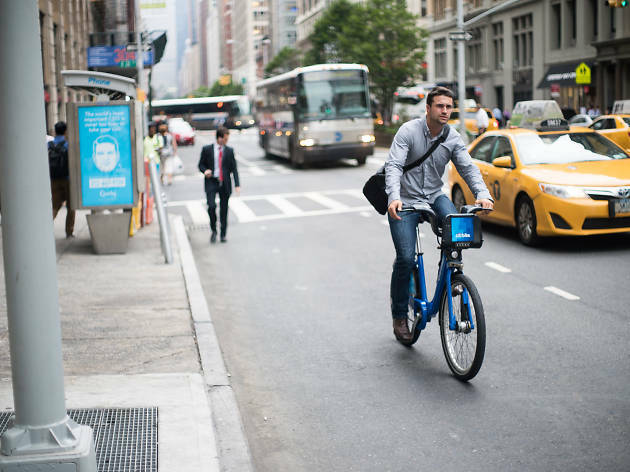 May is National Bike Month, and while active transportation advocates across the five boroughs are promoting cycling culture and safety, Switzerland Tourism is taking a different approach: They’re doling out some free sweets and cheese. There's no way to stay neutral about that deal! 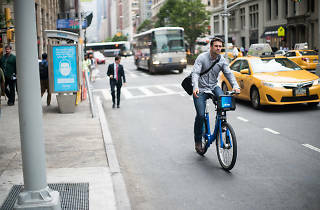 From Wednesday through Friday, the European country’s tourism arm will be setting up shop at a pair of Citi Bike docks to promote their “5,600 miles of cycling routes and 2,800 miles of mountain biking trails,” which, to be perfectly fair, should be referred to as 9,012 and 4,506 kilometers, respectively. Each postcard will also enter the sender into a sweepstakes that puts up a trip to Switzerland as a grand prize (You can also just send an e-card one online to enter.) While a trip to the Swiss Alps does sound delightful, New Yorkers will likely be more enticed by the prospect of free food. Cheese is great. Chocolate is amazing. And if this promotion is any indicator, the only reason the Swiss are able to eat copious amounts of each is because they bike all over the place.